I wanted to learn about hacking devices using radio frequencies(RF) as their communication mechanism , so I looked around the Internet and only found a few scattered tutorials on random things which were either theoretical or narrowly focused. So I bought some hardware and some tools and decided to figure it out myself. The mission was to go from knowing nothing to owning whatever random devices I could find which offer up a good target with multiple avenues of attack and capability for learning. The devices and tools needed are posted below. As we attack more devices, we will post more info on those devices. This blog will cover all of the attacks performed, including code, data captures, so you can follow along even if you don’t have all of the exact devices but want to play around with it yourself. These are the the topics covered so you can decide if you want to read further or watch the associated videos linked below. What does our device do in normal operation? Taking a look at all the components, there is a receiving station which sets off alarms based on opening doors, motion from a motion sensor and the pressing of a doorbell. All of these devices are only connected to each other via wireless, they are not connected to any sort of local network or wires. So they are all communicating in an unknown frequency we need determine before we can start hacking them. To profile our device for the frequency its transmitting on we can use the FCID located on the back of any of the transmitters. We can do this by going to https://fccid.io/ and typing in the FCID from the back of our device. This will provide data sheets, and test reports which contain the information needed to sniff our devices radio transmissions. This site also contains internal device pictures which are useful if you wanted to try hardware hacking. For example looking for Integrated Circuits(IC) numbers or debug interfaces. In this case we only care about the RF frequencies our device is using which happens to be the 315MHz as show below from the fccid website. Armed with the frequency range only and no other information we decided to see if we can just blindly capture and replay a transmissions raw form to perform actions without the legitimate transmitters and without understanding anything. 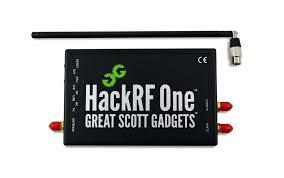 Below is a photo of the HackRF One hardware used in the first attack and linked above. Our Hello World attack is a simple replay attack of a raw capture to perform a normal operation initiated by HackRF instead of the device. We can perform this attack without understanding anything about the capture and decoding of signals. With the HackRF device and 2 simple commands we will capture the transmission and then replay it as if it was from the initial device in its raw format. The following 2 commands are listed below. The -r is used to receive and the -t is used to transmit (RX, TX) you will also notice a -R on the transmit command which continuously repeats in TX mode denoted by “Input file end reached. Rewind to beginning” within the transmit output below. We use this in case the first transmission is not seen by the device. The other switches are for gain. By using these commands we can capture the motion sensor transmission and replay it in raw format to create a false alarm, we can also capture the doorbell transmission and trigger an alarm. Output of the commands needed to do this are shown below. The video associated with this blog shows the audio and visual output from the alarm system as well as a video form of this blog. Input file end reached. Rewind to beginning. While this is a good POC that we can communicate with the door alert system, this did not provide much of a learning opportunity nor did it drastically reduce the effectiveness of the security system. It only provides false alarms of standard functionality. Lets try doing this the more complicated way by profiling the device a bit more, capturing traffic, reducing the wave patterns to binary, converting to hex and then sending it over another device for a bit more precision and learning opportunity. This will also open up other attack vectors. This sounds complicated, but honestly its not complicated just a bit tedious to get right at first. We are easily able to replay functionality when initiating actions ourselves with our HackRF, but what else is going on with the radio transmissions? 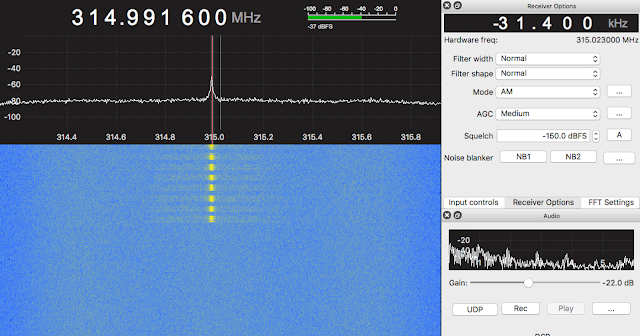 In order to monitor the transmissions in a very simple way we can use tools such as GQRX with either our HackRF device or an inexpensive SDR Dongle and view the 315MHz radio frequency to see whats happening. Select OK and the interface will load up, I made the following changes. I changed the mode under receiver options on the right hand side to AM for Amplitude modulation. I changed the MHz at the top to 315000000 since that is what we saw on the fccid.io data sheets. I then hit play and could view the 315 MHz frequency range. When triggering any of the transmit devices I saw a spike in the frequency close to the 315 MHz range. I then held down the doorbell button since this transmit device would just keep replaying over and over while pressed. 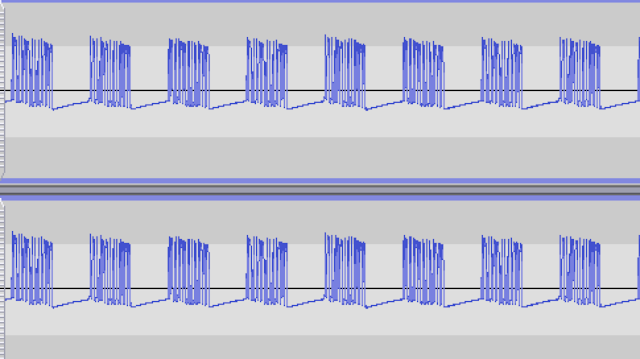 While this was repeating I dragged the bar to match the frequency exactly. Which was actually roughly 314.991.600 give or take. 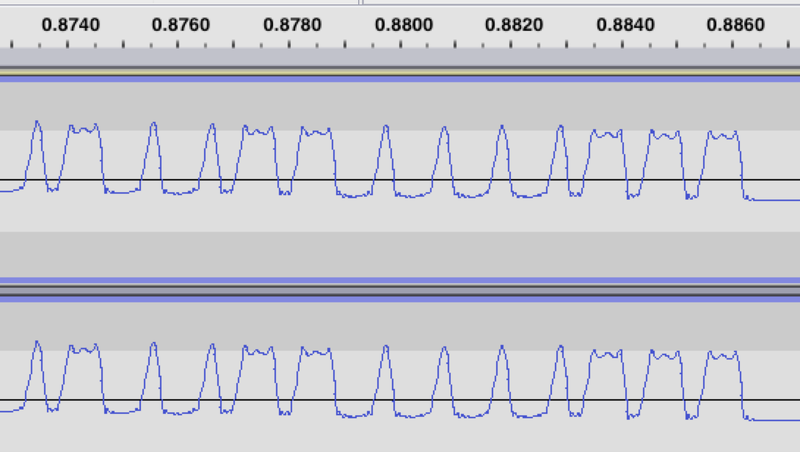 I then triggered the motion sensor and saw a similar spike in frequency, but I also noticed the motion sensor transmitter sends a 2nd transmission after about 6 seconds to shut off the light on the receiver hub that no more motion is happening. A little testing showed this will disable the alarm from triggering during a limited time period. Can we replay the Motion Sensor Turn off?? I tried to repeat the simple replay attack of turning off the motion sensor with HackRF, however unless your capture timing is perfect to reduce any extra data the sensor disable is rather spotty and still sometimes triggers an alarm. Even with a short capture the raw file was 40mb in size. If you were to try to breach a building and disable its sensors there is a 50% chance or so the motion sensor will be triggered. So this is not a sufficient method of disabling the motion sensor alarm. I only want a 100% chance of success if I was to try to bypass a security system. So we need another technique. I read online a bit and found something about decoding signal patterns into binary which sounded like a good way to reduce the extra data for a more reliable alarm bypass and decided to start with the simple doorbell as a test due to its ease of use, prior to working with less reliable transmissions based on motion and timing. Add some padding in form of \x00 to the end of your Hex to make it work. OK so first things first, load your GQRX application and this time hit the record button at the bottom right side prior to triggering the doorbell transmitter. 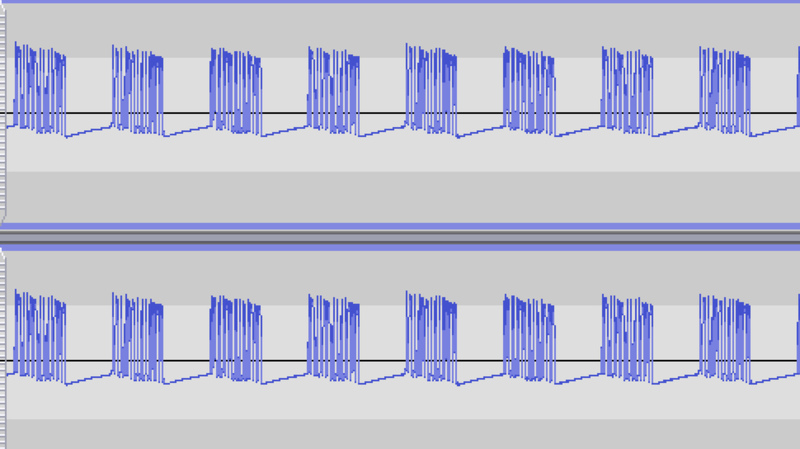 This will save a Wav file you can open in audacity. You can download audacity at the following link for OSX as well as other platforms. http://www.audacityteam.org/download/ You should also be able to use your distro’s package management to install this tool if it is not found on the site. What the above binary means is that the first high peek was One 1 in length, the first low peek was One 0 in length and the larger low and high’s were Three 111s in length. This seemed reasonable based on how it looks. Try converting it yourself, does it look like my representation above? Plug your YardStick into the USB port and run the above code. This will send over your command to ring the doorbell. However, this will fail and we have no indication as to why it failed. There are no program errors, or Rfcat errors. The only thing I could think is that that we sent the wrong data, meaning we incorrectly decoded the wave into binary. So I tried a bunch of different variations on the original for example the short lows having Two 1’s instead of One and all of these failed when sending with the Yardstick. I needed a better way to figure out what was going on. 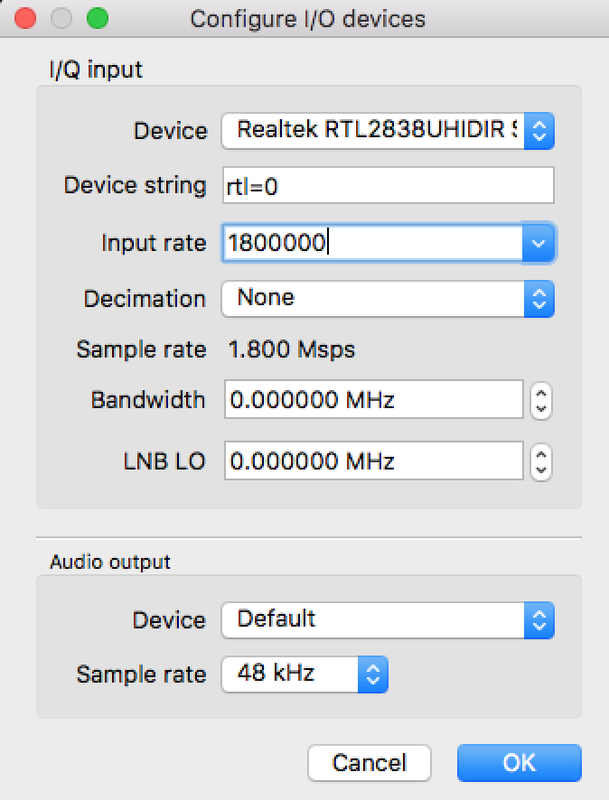 One way to verify what you sent is to send it again with the Yardstick and capture it with your RTL-SDR device in GQRX. You can then compare the pattern we sent with the yardstick, to the original transmission pattern by the transmitter device. Hmmm ok so the pattern looks correct but the spacing between patterns is smashed together. After a bit of searching online I came across a piece of code which was unrelated to what I was trying to do but sending RF transmissions with \x00\x00\x00 padding at the end of the hex. This makes sense in the context of our visual representation above being all mashed up. So I tried this and it still failed. I then doubled it to 6 \x00’s and the doorbell went off. So basically we just needed padding. Our Hello World test is a SUCCESS. But now we need to move on to something that could bypass the security of the device and cause real world issues. 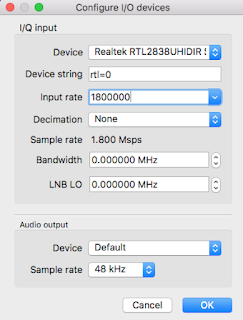 Ok so originally our simple HackRF replay had about a 50% success rate on turning off the motion sensor due to extraneous data in the transmission replay and timing issues. Lets see if we can get that to 100% with what we learned about decoding from the doorbell. We will instead decode the signal pattern sent from the transmitter to the receiver when shutting off the alert light, but without extra data. We will send it directly with a Yardstick over and over again and potentially use the devices own functionality to disable itself. This would allow us to walk past the motion sensors without setting off an alert. The question is can we take the transmission from the Motion Sensor to the Receiver Hub which says motion has ended and use that to disable the Motion Sensor based on a slight delay between saying “there is no motion” and being ready to alert again and bypass the motion sensors security. Lets give it a try by capturing the “motion has ended” transmission with GQRX when the motion sensor sends its packet to the receiver 6 seconds after initial alert and decode the pattern.. So this sequence was a bit different, there was an opening sequence followed by a repeating sequence. Lets decode both of these patterns and then determine what we need to send in order to affect the devices motion turnoff functionality. Below is the zoomed in version of the opening sequence and repeating sequence followed by an estimation of what I think the conversion is. See what you can come up with, does it match what I have below? Next up is our repeating pattern which has a similar but slightly different structure then the opening pattern. This one starts with a 101 instead of 1000 but still seems to have all of its 1’s in single representations and most of its lows in sets of 3 000’s. Below the screenshot is the the binary I came up with.. Write it out and see if you get the same thing? I first tried sending only the repeating sequence under the assumption the opening sequence was a fluke but that did not work. I then tried sending only the opening sequence and that didn’t work either. Bypassing the sensors worked, but then I got thinking, so what if the company puts out a new patch and I am no longer able to turn off the sensors by using the devices functionality against itself? Or what if I wanted to bypass the door alert when the door is opened and it breaks the connection? The door alert does not have a disable signal sent back to the receiver, it always alerts when separated. One way we can do this is with RF Jamming attacks. However, it should be noted that Jamming is technically ILLEGAL in the US on all frequencies. So in order to test this in a Legal way you will need a walk in Faraday cage to place your equipment and do some testing. This way you will not interfere with the operation of other devices on the frequency that you are jamming. It should also be noted that if a criminal is trying to break into your house or a building protected by an alert system that uses wireless technologies, he is probably not following FCC guidelines. So assume if you can attack your alarm system in the safety of a Faraday cage. Your alarm system is vulnerable to attack by any criminal. A fair assumption when penetration testing an alarm system your considering for install. You may want devices which are hardwired in as a backup. There has always been Jammers for things like Cellphones, WiFi networks. With the introduction of affordable software defined radio devices an attacker can jam the 315 frequency to disable your alert system as a viable attack. A simple python script can kill a device in the 315 range and make it in-operable. I found the below script to be 100% effective while testing within a Faraday enclosure. Basically the device pauses in its current operational state, idle state or a alert light state, the device will remain in that state indefinitely until the jamming attack is stopped and the devices are manually reset. If you use the below code make sure you use precautions such as Faraday cages to ensure the legal guidelines are met and you are not interfering with other devices in your area. You must assume that radios used by police, fire departments and other public safety activities could be blocked if you are not enclosing your signal. This code is purely for you to test your devices before installing them for the security of your assets. I call the below program RF_EMP, not because its sending an electronic pulse but because similar to an EMP its disabling all devices in its range. Which is why you need to use a Faraday cage so as not to interfere with devices you do not own. Below is a simple manually configurable version of this script. print "Start RF Jamming FTW"
print "Starting JAM Session, Make sure your in your Faraday Enclosure..."
You can do your RF testing on a virtual machine with pre-installed tools but its kind of sketchy and you might want to throw your Yardstick against the wall in a fury of anger when you have to unplug it after every transmission. After a few fits of blind rage I decided to install it natively so my tools work every time without removing the dongle after each transmission. This is it for the first blog.. Other topics will be discussed later, such as attacking devices in a blackbox assessment and configuring your own key fobs. Rolling code devices and bypassing their protections. Monitoring and attacking car components. If you have anything to add or would like to help out.. Feel free to comment and add to the discussion. Blog having such a useful information so, that everyone can learn some things new. Article written on the blog are very simple, keep it up. great blog..really like this post..
nice information... keep it up.. Awesome tutorial. I think what makes this blog so useful is that you put all your code and problems for others to see and understand. Also, instead of just putting a video witch can be tedious to play and rewind as you are trying to do something, this blog makes it easy to get the information one needs. Great job! Will try it out soon. Excelente. ...hace mucho buscaba algo así. ...gracias! 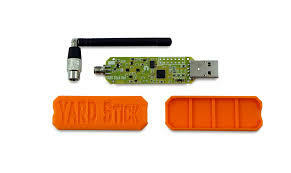 Is using hackrf the same as yardstick? No they are completely different hardware and software.. and ways of using them vary greatly. The only thing thats the same is they can sniff RF.